A little background . . . | A balanced diet . . .
Born in November 1948, I grew up in Congleton, Cheshire (in the UK) then moved to Leek, in the Staffordshire Moorlands in 1956. My high school years from 1960-67 were spent at St Joseph’s College in Stoke-on-Trent. I studied environmental botany and geography at the University of Southampton, graduating with a BSc in 1970. I moved to the University of Birmingham to study for my MSc in plant genetic resources (1971), and a PhD in botany (1975), submitting a thesis on the nature and evolution of potatoes. Much of that research was carried out in the Andes of Peru, home of the potato. I retired in April 2010 after almost 40 years in international agricultural research and academia. I worked at the International Potato Center (CIP) in Peru and Costa Rica between 1973 and 1981, and the International Rice Research Institute (IRRI) in the Philippines from 1991 to 2010. In the 1980s I was on the faculty of the University of Birmingham, UK in the School of Biological Sciences, teaching undergraduate and graduate courses in flowering plant taxonomy, agroecology, crop plant evolution, and other topics related to plant genetic resources, and carrying out research on the biosystematics of grain legumes and potatoes. 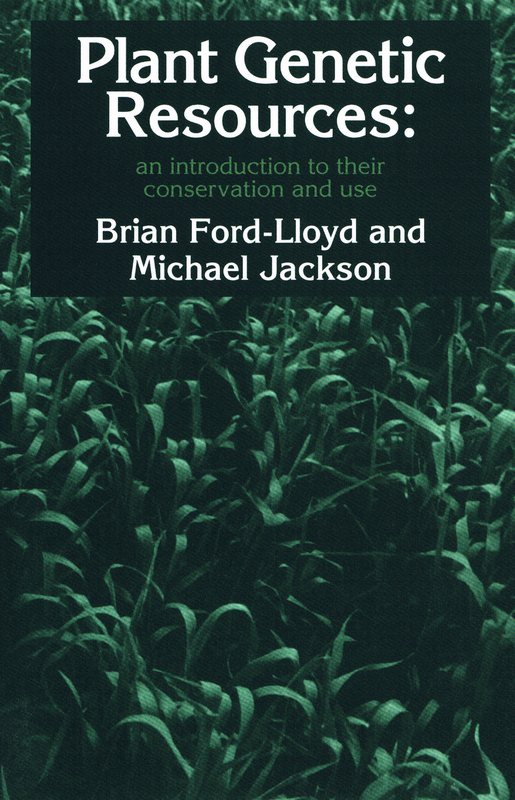 I published my first book on plant genetic resources (co-authored with my colleague Brian Ford-Lloyd) in 1986, and its print run of 3,000 was sold out in less than a year. The publisher, Edward Arnold, was eventually taken over by Cambridge University Press, and the book was re-released in 2010 as a digital print-on-request edition. 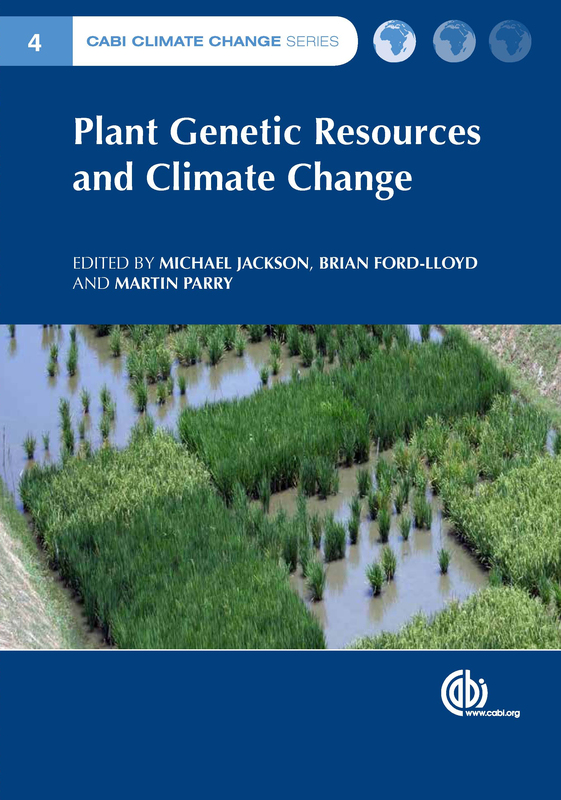 A new book on plant genetic resources and climate change was published by CABI in mid-December 2013 (edited with two former colleagues from the University of Birmingham (Professors Brian Ford-Lloyd and Martin Parry). In 1990 we had published a small volume on this topic, when climate change was a much more controversial – and novel – topic than it is today. At CIP I undertook research on the diversity of potatoes which are native to the Peruvian Andes, and made several germplasm collecting expeditions to the northern departments of Ancash and La Libertad in 1973, and to the south, Puno and back to the north, Cajamarca, in 1974. I made one of the first studies of the terraced agricultural system in the Cuyo-Cuyo valley in northern Puno province. I moved to Turrialba in Costa Rica in 1976, based at CATIE, and led CIP’s regional program for Mexico, Central America and the Caribbean from 1977. I carried out research on adaptation of potatoes to lowland tropical conditions, on resistance to bacterial wilt and late blight, and rapid multiplication techniques for seed potato production. I was head of the Genetic Resources Center at IRRI for 10 years until 2001, with responsibility for managing the International Rice Genebank Collection (IRGC), the largest collection of rice genetic resources globally, with more than 110,000 accessions. 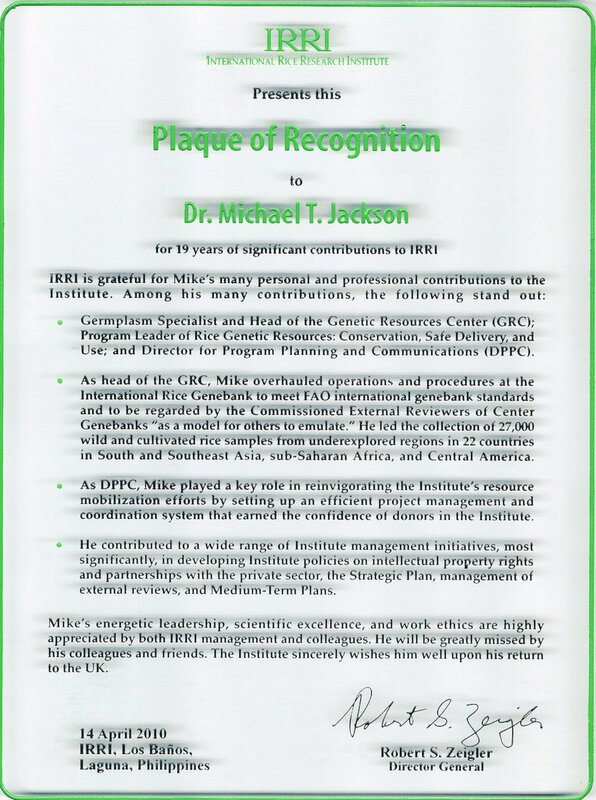 For nine years from May 2001 until my retirement, I served as IRRI’s Director for Program Planning and Communications with responsibility for research project management, donor relations and fund-raising, as well as providing management oversight for IT services, communications and publications services, and the library. I live in Bromsgrove, in north Worcestershire (birthplace of famed poet AE Housman) and work from time-to-time as an independent agricultural research and planning consultant. My wife Stephanie and I have two daughters: Hannah and Philippa, both PhD psychologists! Hannah is married to Michael and lives in St Paul, Minnesota; they have a little boy, Callum Andrew – our first grandchild – born in August 2010, and a girl, Zoë Isobel, born in May 2012. Philippa lives in Newcastle upon Tyne, and is a Senior Lecturer at Northumbria University. She is married to Andi. Their first boy (our second grandchild) Elvis Dexter, was born in September 2011; Felix Sylvester followed in September 2013. 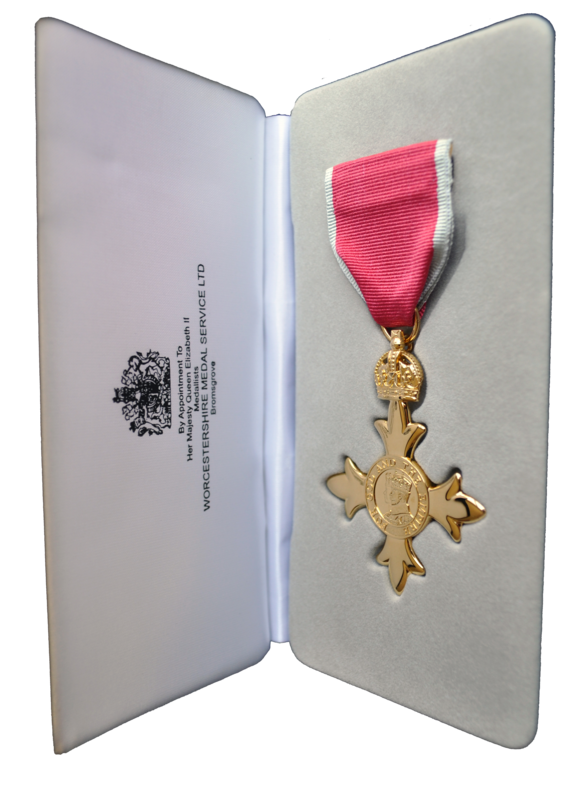 In The Queen’s New Years Honours 2012 I was appointed an Officer (OBE) of the Most Excellent Order of the British Empire, and attended an investiture at Buckingham Palace on 29 February 2012, held by HRH The Prince of Wales, standing in for HM The Queen.